It is reported that the man being executed is 26 years old, and had been imprisoned when he was only 13 years old. Footage of the brutal execution shows hundreds gathered to witness the execution, as women who are believed to be related to the man scream in the background, condemning the execution be carried in this manner. The Iranian Human Rights Organization said there had been an increase in executions during the past few months, noting that 30 executions were carried in August only. 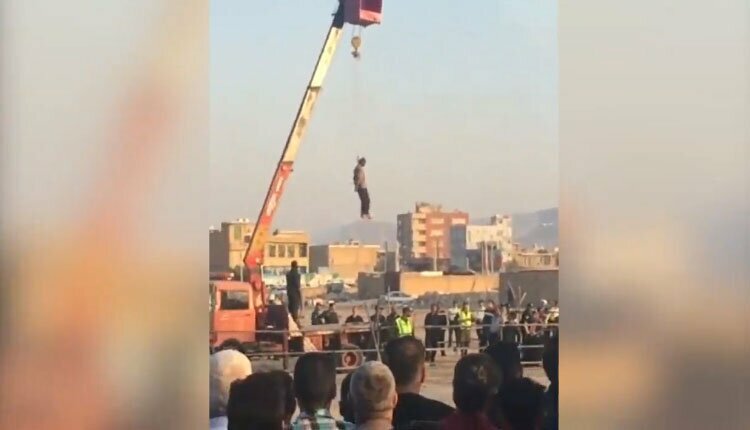 Amnesty International have previously said in its annual report that at least 507 people were executed in Iran during 2017.